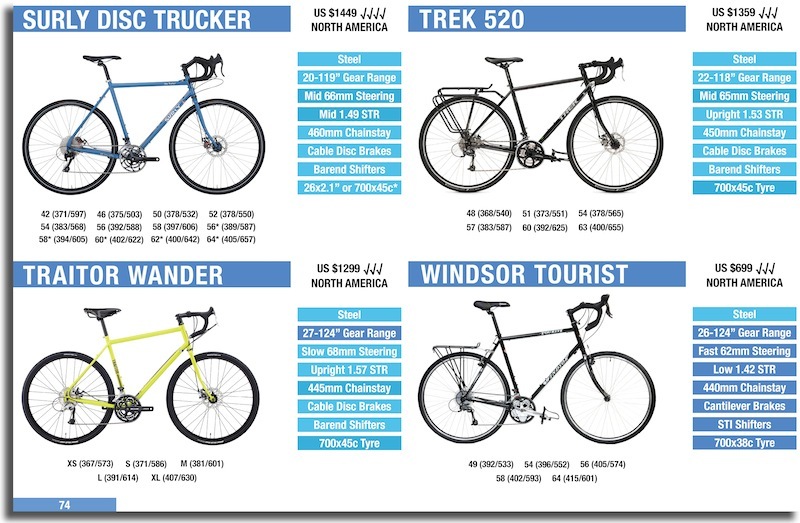 Salsa has released a bunch of new bikes for 2016, including two touring bikes. One of them is the Deadwood adventure touring bike, the other is a more traditional touring bike called the 2016 Salsa Marrakesh. 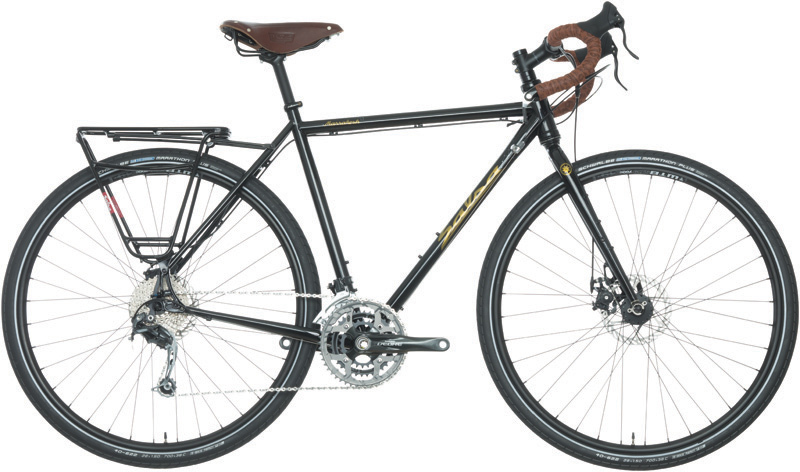 The 2016 Salsa Marrakesh with road handlebars. 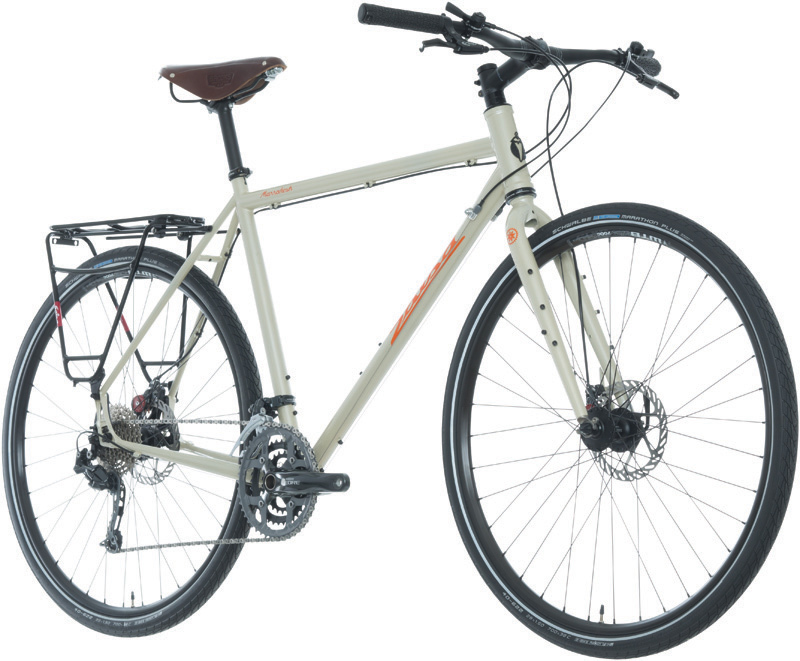 The key difference between this bike and other touring bikes: it’s available in two frame options – one optimised for flat handlebars are the other for road/drop handlebars. To my knowledge no other manufacturer does this! The flat handlebar frame offers an increased reach of ~60mm for each given size. That means you won’t need to go up a size (or two) if you wanted to use flat bars on a bike designed for drop bars. Smart. 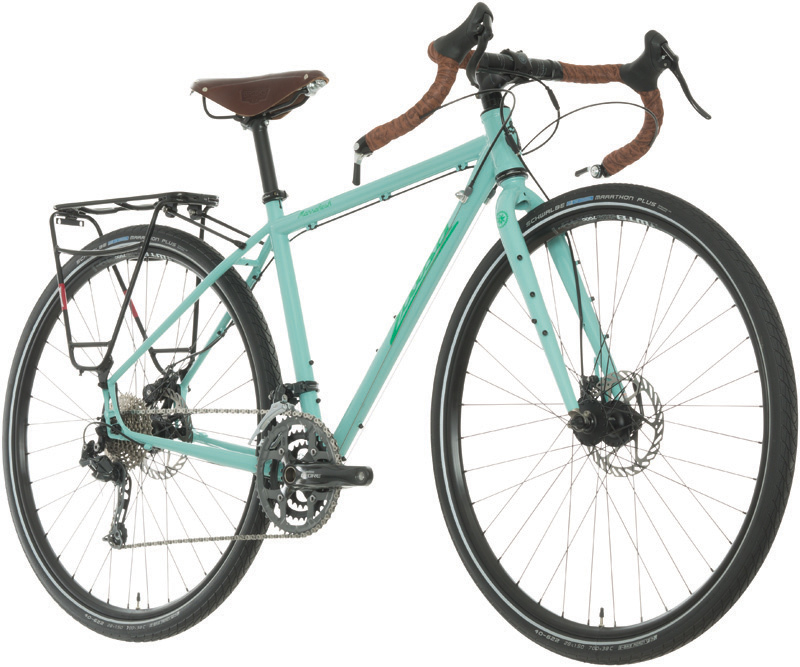 The 2016 Salsa Marrakesh with flat handlebars. 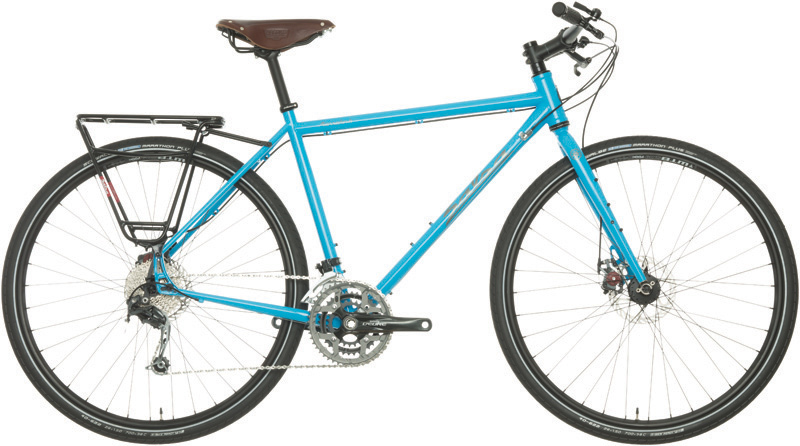 The Vaya was Salsa’s best road tourer up until now, but that bike was always compromised for long-distance touring. It was set up more like a road bike with STI shifters, narrowish tyres and a road double crankset. The Marrakesh now offers barend (or thumbie) shifters, squeezes in 29×2.0 tyres and has a wide-range Shimano Deore crankset. That’s much more bicycle touring! The frame/fork is made with 4130 cromo steel tubing, and offers all the eyelets you could ask for including 3-boss luggage mounts on the fork. The overall spec is great value for money too, with a Brooks B17 saddle, Salsa rack, Avid BB7 brakes and 36h wheels as standard. The Alternator dropouts are both a godsend and can cause issues if you want to something other than Salsa’s own aluminium rack. The Alternator dropouts allow you to use different axle sizes, or perhaps even a Rohloff internally geared hub. They also bring the eyelets up a good few centimetres higher than ideal, making rack compatibility and fender fitting a bit more complicated. If you’re a regular to the site you’ll know how much I like to discuss frame geometry; you’ll be glad to hear the geometry of the Marrakesh is 100% on-point! You’ll be able to get the Marrakesh in either handlebar spec for US $1599 after October. 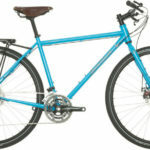 More info on the bike is available at Salsa Cycles.